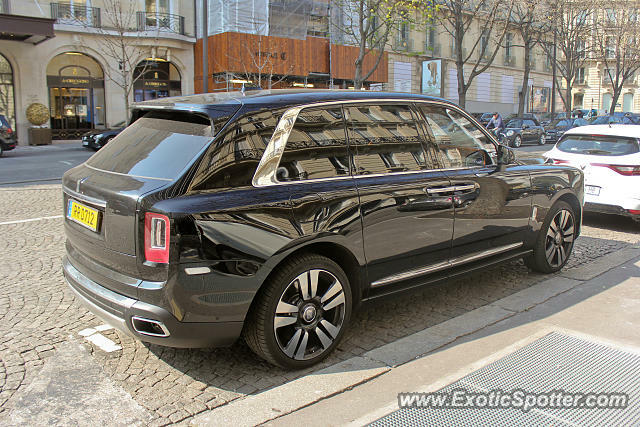 I spotted this RR Cullinan on the Avenue Georges V. Another great place to spot exotic cars in Paris. The car had a plate from Luxembourg. Most of the luxury cars in France that have plates from Luxembourg have those because they don't pay as much taxes as if it was tegistered in France. Same system as when a car is registered in Montana when the owner lives in Florida. But this car really is from Luxembourg because I have seen this RR spotted a couple of times in that country with that plate via instagram. Wow! It's just like Montana! @RDMLP640 I think all you need to do, is register a company in Luxembourg. Even if the company doesn't make any business at all, as long as you have an adress in Luxembourg you can take advantage of that tax brake. However I don't know much about those details. You can probably find that on internet as some companies have specialised in that business.